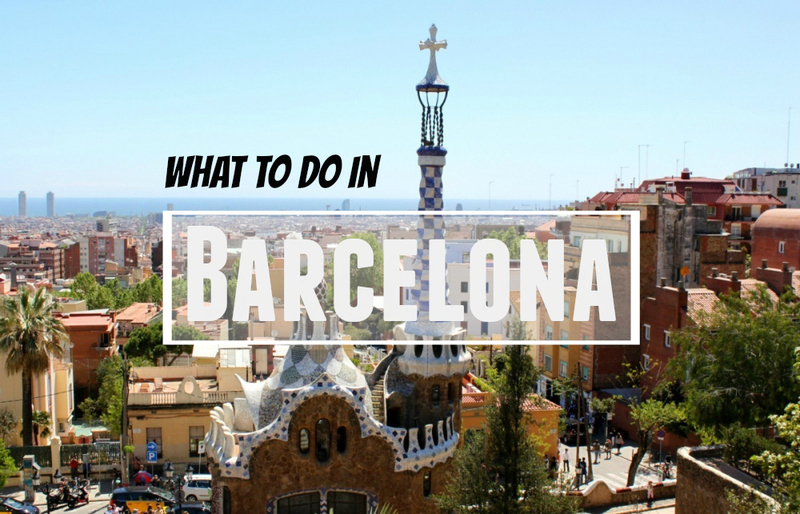 Here are some of my top recommendations for top things to do in Barcelona if you’re lucky enough to be visiting my favorite city on the planet. All of these are linked to my blog posts, so I’ll add more entries as I write them. Enjoy the best of Barcelona! The Sagrada Familia – Gaudí’s famously incomplete church. Love or or hate it, it definitely makes an impression. Want even more Gaudí? Stop by his houses on Passeig de Gràcia – Casa Batllò and Casa Milà. Take a stroll through the winding streets of the Barri Gòtic. Two must-see stops: the Plaça de Sant Felipe Neri and the Cathedral of Barcelona. See a “typical Spanish” square in the heart of Barcelona – Plaça Reial (the Royal Square). Go underground to see the hidden Roman temple buried beneath the Gothic Quarter. Can you spot the FC Barcelona shield in the stained glass in the Santa María del Mar church? For art fans, go to the Museu Nacional d’Art de Catalunya (MNAC). At night in front of the MNAC, stop by the Font Màgic de Montjuïc, the magic fountain show! Way better than Vegas’s Bellagio. Take the cable cars up to the very top of Montjuïc for some stunning views. If you’re a big fan of modernisme, go visit the newly reopened Hospital de Sant Pau. Want a guaranteed return trip to Barcelona? Make sure to have a sip from the Font de Canaletes before you go! 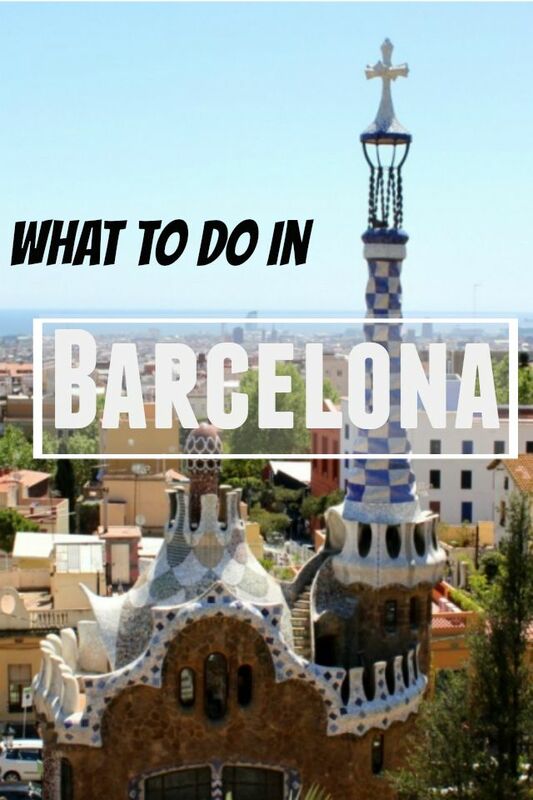 If you want to visit the city but are on a budget, check out my guide for 15 cheap things to do in Barcelona. The first stop for foodies? La Boquería Market, of course! 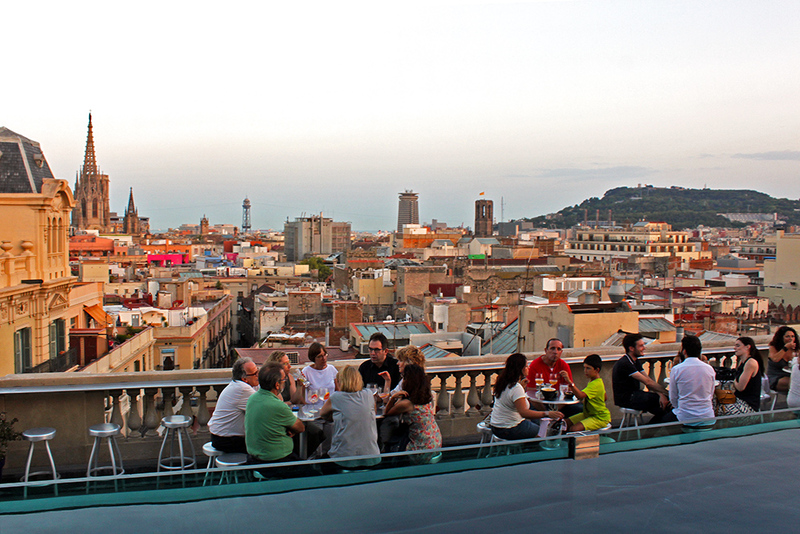 For a great outdoor terrace, check out the Espai Mescladís, a combination of restaurant, social project, and art space. 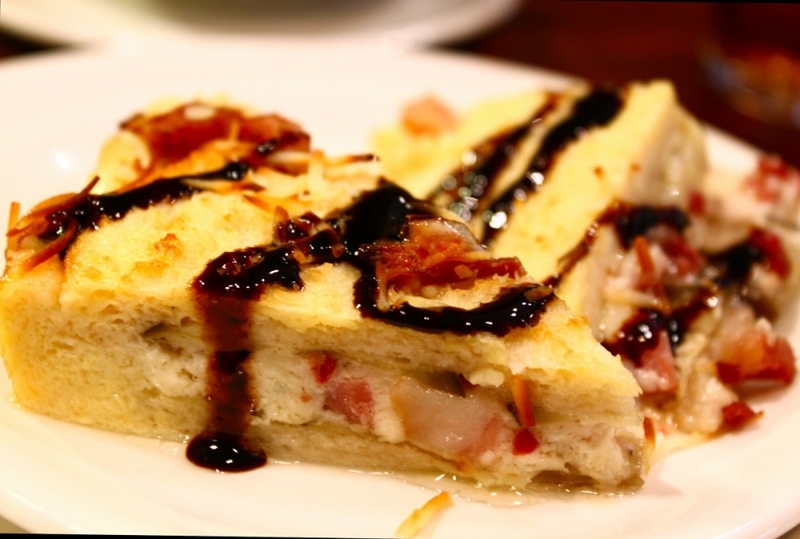 Go to Café Marti for an afternoon snack of delicious Spanish pastries and coffee. Check out Enric Granados street for a selection of the city’s top cafés and restaurants. If you love to cook, try your hand at making gambas al ajillo, espinacas con garbanzos, pimientos del padrón, or holiday galet soup. Get the city’s best secret view from the Hotel 360…and enjoy some cocktails while you’re there! For a nice green break from the city bustle, go to the lovely Parc de la Ciutadella with a picnic. If you want to get off the beaten path, try the bunkers at Guinardó. Stop by the secret gardens in the heart of the Raval district. 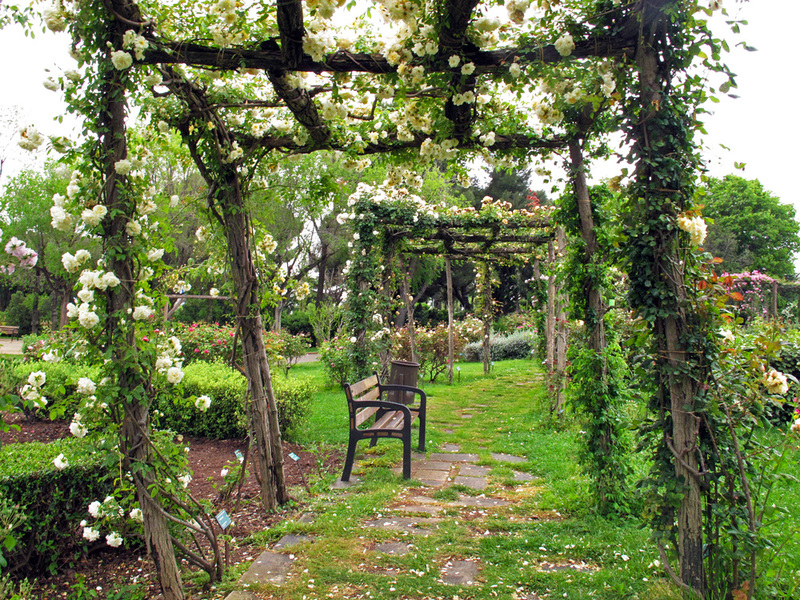 Stop and smell the roses at the Parc de Cervantes, which has over 10,000 rose bushes. Hit the luxury shops on the elegant Passeig de Gràcia. Have a great day out vintage shopping. Visit the Flea Market Barcelona. There are others in Encants, in front of the cathedral on Sundays, and near the metro Drassanes on Sundays, but the Flea Market is my favorite. February: check out the incredible light art for the LlumBCN festival during Santa Eulalia. February: see the crazy partying for Carnaval in the nearby town of Sitges. February – March: try a calçotada, a fun spring festival centered around some weird onions. April: celebrate the Catalan equivalent of Valentine’s Day – Sant Jordi. May: visit the Temps de Flors flower festival in nearby Girona. 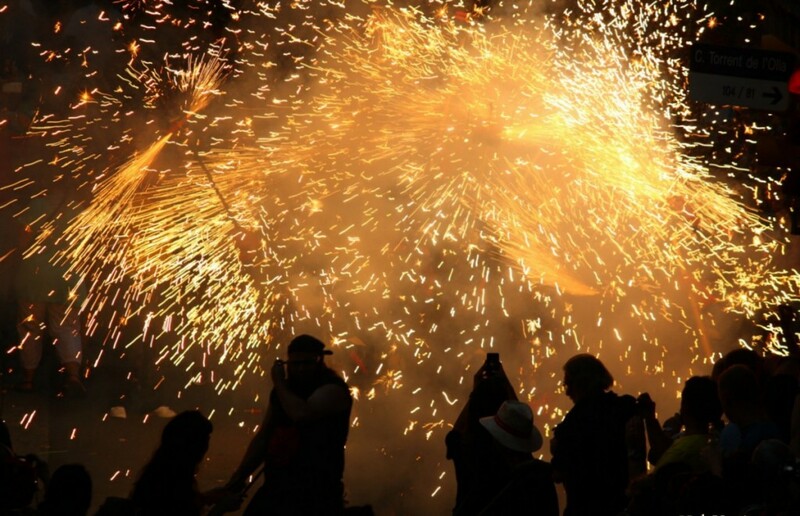 September, check out La Mercè, especially the castellers. December: celebrate Christmas Catalan-style! Go to the Christmas market to buy your own festive pooping log (yes, really!). You may also want to sample some traditional Spanish holiday sweets and see the beautiful light displays. Here’s a roundup of your best options for finding accommodation in Barcelona, from cheap hostels to holiday apartments. If you’re looking for a hostel, try Generator. 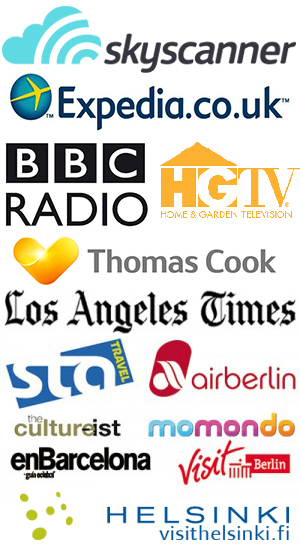 If you want a holiday apartment, check out Stay Apartments Barcelona. Staying longer term? 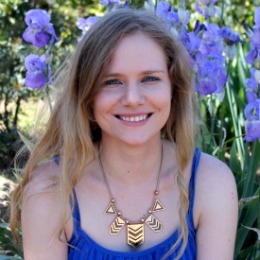 Here’s all about how to find and rent an apartment in Barcelona…and some pointers about what NOT to do. Keep your eyes peeled for the animal sculptures around the city, especially the bats! See if you can spot one of the many sculptures of Sant Jordi, the city’s patron saint. Visit the Raval for an artsy afternoon. Stop by the MACBA for a mix of art and skateboarding culture. Relax at the Aire de Barcelona spa buried deep within the ancient city walls. Get to know the city with a fun bike tour with Steel Donkey Bike Tours. 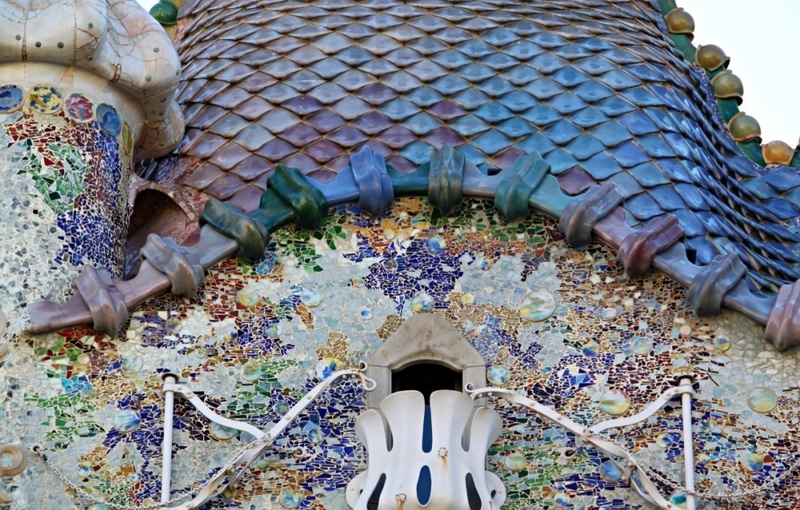 Check out Gaudí’s lesser-known works, like the Palau Güell and Casa Vicens. Looking for a unique souvenir? Check out local artist Xavi Julià’s beautiful work. Keep an eye out for Clet Abraham’s cheeky street art. Take a quirky photography tour through El Born district. 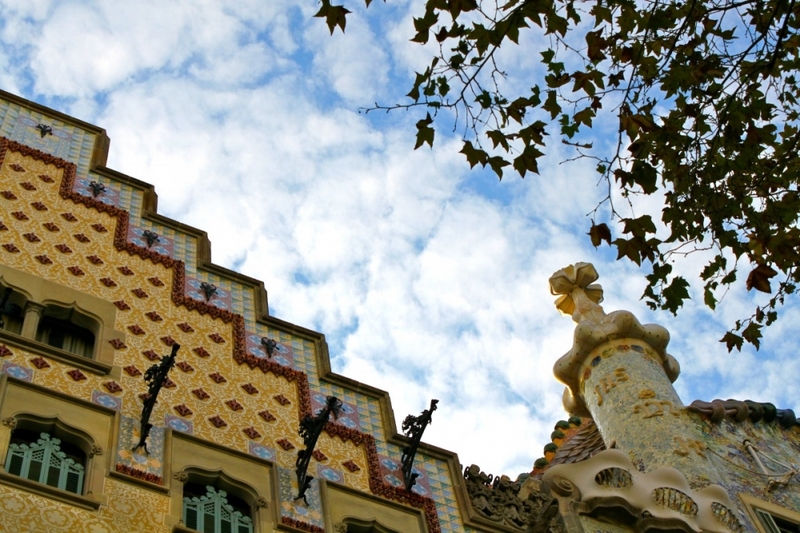 Explore Catalan traditions in the Gràcia neighborhood. And one final note: watch out for pickpockets – seriously. Enjoy discovering the best of Barcelona!